Our nation is 241 years old. Just like it would be for a human being, it’s impossible to have that much time under the belt without some mistakes being made along the way. Our nation has made plenty of them along the way, and the time of the Civil War and the Confederacy is one that’s at the top of the mind these days. The violence in Charlottesville has reopened the debate on Confederate monuments. There’s a school of thought that says they should be removed on the grounds of being symbolically racist in nature. The opposite school suggests that it’s a part of our nation’s history that shouldn’t simply be wiped away because it makes people uncomfortable. In the middle of those that yell the loudest about the issue reside folks that can see the points from both sides. Despite having the clarity and presence of mind to be able to pull off that trick, even those folks will acknowledge that there’s no solution that will appease both sides of the argument. Needless to say, the debate will continue to rage on, and that leads to even more questions popping up. If we remove these monuments, exactly where does it end? Does a crusade then begin to wipe all of our nation’s blemishes away? As Breitbart points out, that opens up a slippery slope. 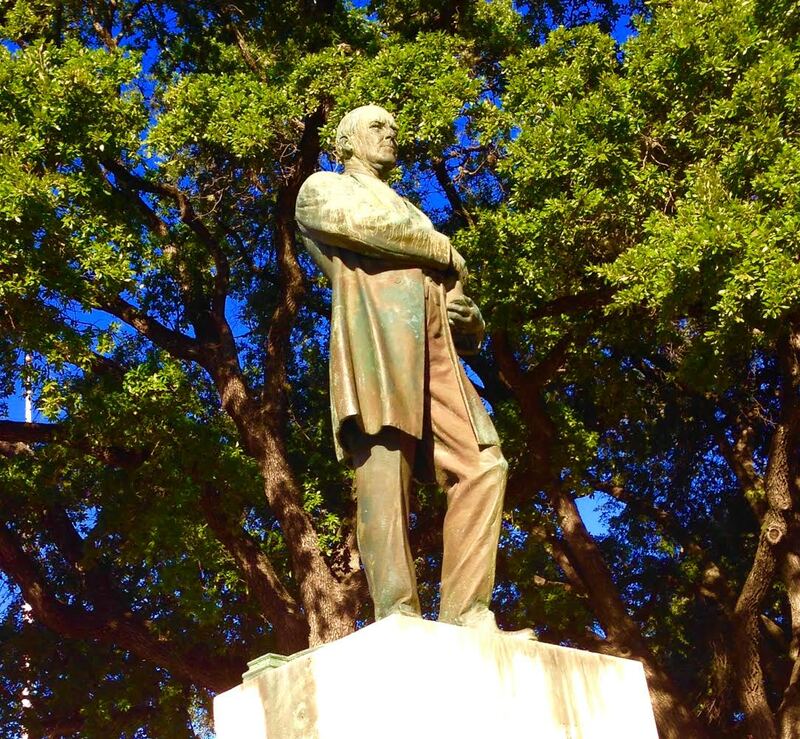 For example, what do we do with monuments that recognize President Andrew Johnson? During his administration, post-Civil War Democrats enacted the Black Codes in the South, which were precursors to the Jim Crow laws they would implement in the 20th century. The Black Codes served to prevent freed slaves from actually experiencing the fullness of freedom. Johnson is honored with The Andrew Johnson National Historic Site and National Cemetery in Greenville, Tennessee. How about President Woodrow Wilson? At Princeton, Wilson “maintained the university’s long-standing ban on admitting blacks” and as President of the U.S. he “sanctioned” attempts to instill “segregation into federal departments.” Princeton honors Wilson with a college named The Woodrow Wilson School of Public and International Affairs. There’s a ton of folks out there that recognize Franklin Delano Roosevelt as being one of the most significant political figures in our nation’s history. Do we place all of his monuments on the chopping block as well? FDR ordered the internment of Japanese Americans during World War II. In other words, Japanese Americans were rounded up and held in captivity. History.com reports that FDR instituted internment by “[signing] the War Department’s blanket Executive Order 9066” in February 1942. 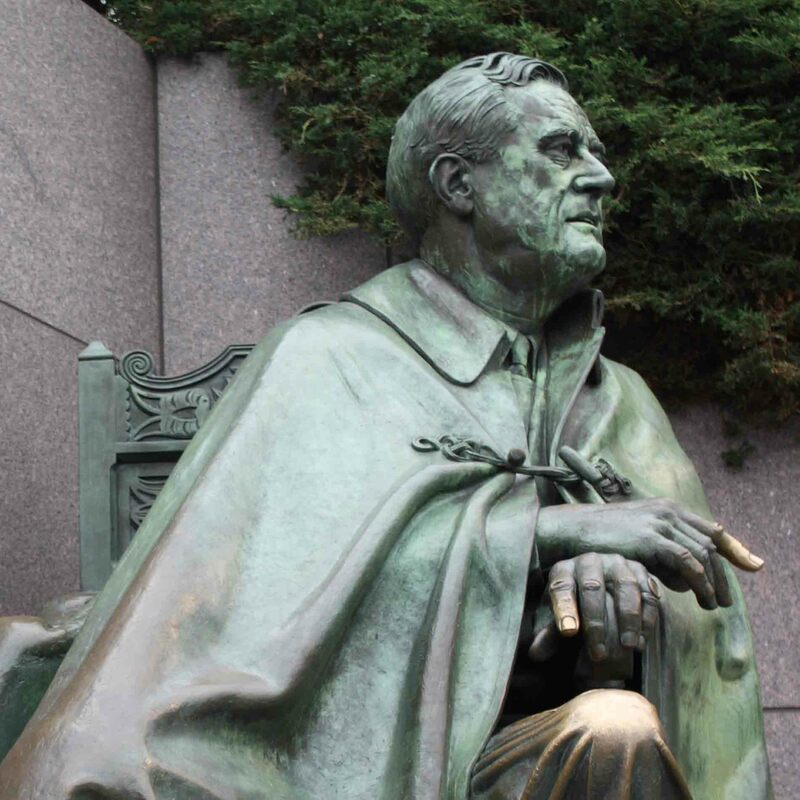 FDR is honored with the Franklin Delano Roosevelt Memorial in Washington DC. President Lyndon Baines Johnson held the nation together through the volatile times of the 1960’s, but he was also a complex man that was far from perfect. How do we treat him moving forward? MSNBC put it bluntly, “Lyndon Johnson said the [n-word] a lot.” While “discussing civil rights legislation with men like Mississippi Democrat James Eastland, who committed most of his life to defending white supremacy, [LBJ’d] simply call it ‘the [n-word] bill.’” LBJ is honored with the Lyndon Baines Johnson Memorial Grove on the Potomac. Sen. Robert C. Byrd is viewed as an icon by some members of the Democratic Party, but he has an incredibly checkered past – to say the least. Will he also be shunned as we move forward? Prior to being a Democrat Senator in West Virginia, Byrd was a member of the Ku Klux Klan. When Byrd died in 2010, the Washington Post printed an eulogy which said, in part, “As a young man, Mr. Byrd was an ‘exalted cyclops’ of the Ku Klux Klan. Although he apologized numerous times for what he considered a youthful indiscretion, his early votes in Congress — notably a filibuster against the 1964 Civil Rights Act — reflected racially separatist views.” On June 26, 2010, the Cumberland Times-News reported that Byrd was honored by at least eight highways and/or bridges throughout West Virginia. There’s a lot of complexity to all of the above men, and it’s not as easy as just taking a sharpie out and wiping them out of the history books due to their missteps. Instead, some honest and open dialogue – without yelling, name calling, or hyperbole – would help to put the entire debate into the necessary perspective. That seems to be too much to ask for, and it remains nothing short of bewildering as to why that’s the case.